For the first time, scientists have succeeded in turning human stem cells into insulin producing cells raising hopes that a cure for type 1 diabetes may be just around the corner. Healthy individuals produce the hormone insulin to regulate the amount of glucose in the blood. If blood sugar levels get too high (hyperglycemia), beta cells are signaled to release more insulin into the blood stream causing cells to absorb glucose. Insulin also helps to trigger the release of glucose when blood sugar levels fall too low. Insulin is produced by beta cells in the pancreas; however, individuals with type 1 diabetes produce little to no insulin as beta cells in the pancreas are damaged or destroyed by the immune system. Without insulin, glucose levels in the blood can reach dangerous levels. Patients with type 1 diabetes perform finger prick blood tests daily to determine whether the body requires more insulin. Insulin injections are then required to help regulate blood sugar to avoid complications from hyperglycemia. While this method of monitoring and blood sugar control can allow people with type 1 diabetes to live healthy lives, the treatment is not perfect. Patients with type 1 diabetes face a higher risk of kidney failure, heart disease, stroke, and other disorders. An alternative treatment is for beta cells to be provided to patients with type 1 diabetes, but those cells must come from a compatible donor and, consequently, the treatment is not widely available. One of the most promising potential cures for type 1 diabetes is to use a patient’s stem cells to generate beta cells for reintroduction into the body. Stem cells can form any cell in the body, but up until now, researchers have failed to produce fully functional insulin producing cells from stem cells. The cells fail to mature sufficiently. Researchers at the University of California San Francisco have made a breakthrough and have, for the first time, used harvested human stem cells to create fully functional insulin producing cells in mice. The research team looked at how beta cells are produced in the pancreas. Beta cells are separated from the rest of the pancreas in protrusions called pancreatic islets. 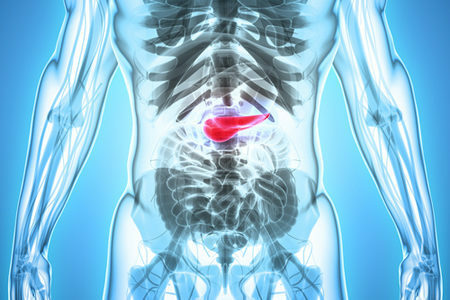 The researchers mimicked that process in the lab and separated pancreatic stem cells in clusters resembling pancreatic islets. When arranged in these clusters, the researchers were able to mature the cells and create fully functional insulin producing beta cells. The cells were them introduced in mice and within a few days they responded to changing blood sugar levels and produced insulin. While the research is promising, a cure for type 1 diabetes is still some way off. The researchers now need to show that their beta cells are capable of functioning in the same way in humans. The researcher’s paper – Recapitulating endocrine cell clustering in culture promotes maturation of human stem-cell-derived β cells – has been published in Nature Cell Biology 21, p263–274 (2019).